WASHINGTON, D.C. -- The Trump administration unveiled several gun and school safety proposals Sunday night, including making efforts to harden security at the nation's schools, improve background checks of those buying guns, and overhaul aspects of the mental health system. The proposals do not include a formal plan to increase the age limit for buying certain firearms, a policy President Donald Trump has said he would support. The proposals, which come more than three weeks after the Parkland, Florida, school shooting, also include a plan to establish a commission chaired by Education Secretary Betsy DeVos that will recommend policy and funding proposals for school violence prevention, including possible age restrictions on some firearms purchases. The commission does not have a set timeline of when it will report its findings, although an official said it would be within one year. "Today we are announcing meaningful actions, steps that can be taken right away to help protect students," DeVos said Sunday. "Far too often the focus has been only on the most contentious fights -- the things that have divided people and sent them into their entrenched corners," she continued. "But the plan that we're going to advance and talk about is a pragmatic plan to dramatically increase school safety and to take steps to do so right away." 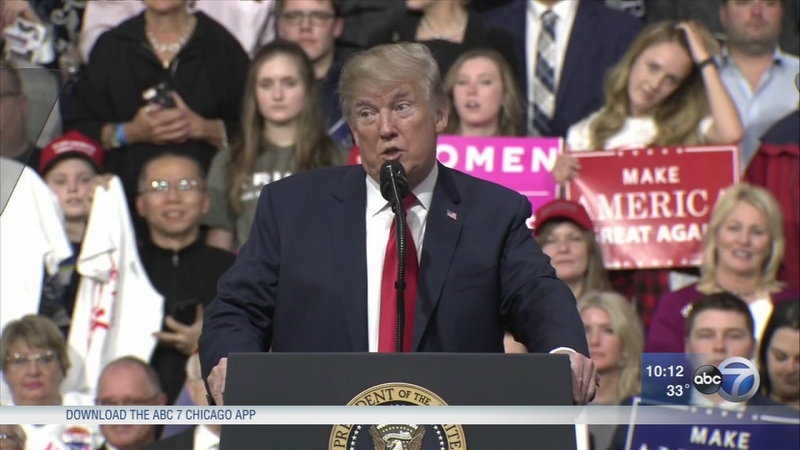 The announcement of the commission comes less than a day after Trump criticized blue-ribbon committees at a rally in Pennsylvania, saying, "We can't just keep setting up blue-ribbon committees," adding that they do nothing but "talk, talk, talk." Administration officials stressed the necessity of the new commission when asked why Trump said such committees were ineffective, saying there is "very cogent argument for having a commission." Officials announced that the administration will work with states on what they called "rigorous" firearms training for "specially qualified" school personnel on a voluntary basis, including leveraging Department of Justice assistance to give school personnel firearm training from state and local law enforcement agencies, the administration announced. Trump first floated the idea of arming teachers and school officials after the shooting at Marjory Stoneman Douglas High School last month -- an idea that was met with immediate criticism. The administration also plans to support the transition of military veterans and retired law enforcement into new careers in education and will encourage state attorneys general to audit school districts for compliance with state emergency preparedness activities. Federal agencies, including the Department of Homeland Security, also will partner with states and local governments to support a public awareness campaign modeled on the department's "see something, say something" anti-terrorism campaign to encourage the awareness and reporting of suspicious activity, the administration announced. The administration is backing the "Fix NICS" bill introduced by Sen. John Cornyn, a Texas Republican, and Sen. Chris Murphy, a Connecticut Democrat, which intends to improve the information going into the National Instant Criminal Background Check System by offering financial incentives to federal and state authorities to comply with existing law to report criminal history records. The bill would hold federal agencies accountable if they fail to upload records to the background check system. Further, the administration voiced support for legislation dubbed the "STOP School Violence Act," which would provide states with funding for training, technology and other assistance to help schools identify and prevent violent acts. The Trump administration also called on states to adopt "extreme risk protection orders," with technical assistance from the Department of Justice. The orders would allow law enforcement officers, with approval from a court, to remove firearms from those who pose a threat to themselves or others and temporarily to prevent individuals from purchasing new firearms. Trump will direct the Justice Department to provide assistance to states, only at their request, on establishing and implementing the orders, officials said. Trump is proposing an expansion and overhaul of mental health programs, including those that help identify and treat those who may be a threat to themselves or others, the administration announced. The President is proposing increased integration of mental health, primary care, and family services, as well as support for programs that utilize court-ordered treatment. Trump is also calling for a review of the statutory and regulatory privacy protections to determine if any changes or clarifications are needed to improve coordination between mental health and other health care professionals, school officials, and law enforcement personnel. Trump's proposed Federal Commission on School Safety aims to develop a process to evaluate and make recommendations on school safety, the administration said. The commission plans to focus on several areas, including age restrictions for certain firearm purchases; current entertainment rating systems; youth consumption of violent entertainment; best practices for school building and campus security and threat assessment and violence prevention; plans for integration and coordination of federal resources to help prevent and mitigate shootings at schools; and opportunities to improve access to mental health treatment, including through efforts to raise awareness of mental illness and the effectiveness of treatment. The Wall Street Journal previously reported some of the details of the expected announcement, citing White House officials who had been briefed on the proposal. The administration is already moving ahead with a proposal to ban bump fire stocks, devices that allow semiautomatic weapons to fire at a more rapid rate, as Attorney General Jeff Sessions has vowed to do. The Justice Department has submitted a proposed regulation to the Office of Management and Budget for review to prohibit their sale by classifying them as machine guns under federal law.